Many of you know I'm building a house. And when you are building you dream about many things. You dream about furniture, decorating colors, faucets, etc. And then when it comes time to actually find the things, dang it, you have trouble finding them. Of course, nothing comes easy in life, at least nothing that's any good. 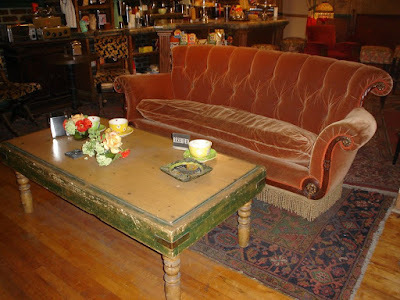 I really want a couch like the one they sat on in Friends. A BIG overstuffed, quirky colored, tufted back, one seat cushion HUGE sofa. The kind where a family of four can crawl all over and watch great movies together. If you know where I can find, one, drop me a line, would you? Linda Schilberg, a photographer friend with a small body and HUGE heart, got a group of us photogs together last night to photograph pro bono for a group of 4 fun girls. She knows all the details and I'm sure will post many more photos, but here's a few from my card. 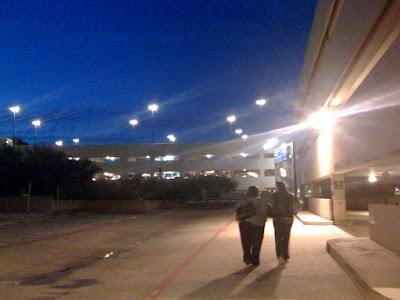 It was so much fun to get out and laugh and just enjoy friends, both old and new. I've been so stressed with work, the video store, the house, JUST LIFE, it's nice to just BE. That was last night, just BEING. I have to blog Senior Day photos. Photos of the Senior Lady Pirate, Lillie and Alex. They played their last game last night as a Lady Pirate. (regular season, that is.) And I've gotten to watch them play this season that Kalyn has played. I love to watch Lillie stretch out on first to grab those balls! She seems 10 times BIGGER than she really is! LOL Here she is below with her mom and dad. Alex bats pigeon toed, if that's what you call it. Too cute! And I have a shot of that somewhere. She had an awesome double play in last night's game. WAY TO GO, MISS DERR!!!! I don't have a shot of that. I didn't shoot last night, but more on that later. Alex will play softball next year in college and here she is with her mom and dad. But today? Today I wanna talk about Boo. The following shots are of her pitching. And Boo, I promise I will get better at photographing softball soon. It's just so dang hard when the dust is blowing in my lip gloss. I think I prefer the indoor sports. LOL For shooting anyway. But I do LOVE watching Boo pitch. I have since I watched her pitch back in 6th grade. When you meet Boo she wiggles and bounces with energy and excitement and she's totally WHACKED out funny and just so dang charming and silly. So when you watch her pitch, it's a stark contrast to the Boo off the field. The only spot in the world I've seen her calm is inside that white circle of chalk we call the pitching mound. And to her, I'm sure she's NOT calm. She's probably turning flip flops in her tummy and just an awary of emotions and excitement and turmoil. But to us she looks like these shots. Last night she pitched 12 innings and I don't have her stats but only one run was allowed. The winning run for Levelland. I hate that the girls lost but I love how tight and awesome they all played together. And Kat? That amazing pitcher that is headed to Lynchburg, VA to play softball. WE HITT OFF YOU GIRL!!! I'm so proud of our Lady Pirates and how awesome they played last night! Way to go girls! It seems the only time families can get together is around a weekend and usually a Holiday Weekend. Now, I'm usually spending my weekend with my family if I'm not shooting a wedding, but I couldn't resist photographing the Boyd Family this past Saturday. I did so as an associate shooter for Mark McCall. He needed the help and I had the time. Problem was, it was 11 family members and 2 under the age of 2. Definitely NOT my cup of tea. AND to top it off, we had our first rain shower of the year at exactly the same time. And sometimes you just gotta go with the flow. So, I did. But in doing so, it brought up some good points worth talking about. Family session demand patience. I love photographing a family that just hangs together and enjoys each other. This family sure tried, but the wind and the cold got the best of us and I really didn't get to fully capture them as I would have loved. Hear that Lisa? I want another shot at these cuties. I hope you guys had a wonderful Easter and thanks so much for braving the thunderstorm.